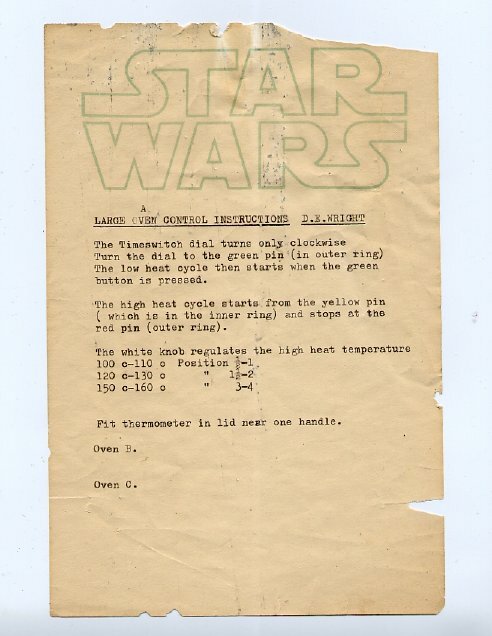 This sheet gives instructions for using the ovens used in making the masks for the Star Wars films. It's printed on Star Wars stationery and believed to be from Return of the Jedi. This sheet came originally from Stuart Freeborn, the world-renowned makeup and mask artist who created the creatures for the first three Star Wars films.